The Baltic Sea spa town of Soport, Poland, was this year’s destination for the Tensar Partner Conference. The event ran for 2 days, Tuesday 19th & Wednesday 20th March, and was an opportunity for TCS to meet with distributors and Tensar’s technical and sales teams from around EMEA (Europe, Middle East & Africa). TCS Geotechnics have been distributing Tensar TriAx® and Biax since June 2014. It is a partnership that has flourished based on a mutually clear understanding of the UK Geotechnical market. This was my first Partner Conference with Tensar and accompanying me on the trip were Mark Maloney (Owner / Director ) and Ian Fraser (Technical Director). Over the two days, we had presentations on various aspects of the Tensar business, including; Energy, Rail, Pavement Optimisation, Walls & Slopes, and New Product Technologies. We were very proud to have Ian Fraser present on behalf of TCS Geotechnics in the discussion of Pavement Optimisation, despite him managing to insert an image of Scotland’s Rugby Union Captain holding the Calcutta Cup! What was clear from all the presentations – and has always been so – is Tensar’s continual investment in research, testing & development, which is second to none. In between all of the presentations, there were breakout sessions in what was dubbed ‘The Market Place’. This was a valuable opportunity to liaise with the Tensar Team about their particular field of expertise. As well as the presentations mentioned above, there was a chance to speak to the Marketing Sector, the Ministry of Defence Supply Chain and also Tensar’s Software Team. All of this provided an invaluable opportunity for us to offer input and have a clear understanding of the business direction. In all, for me personally, it was a wonderful opportunity to see more of what lies behind the products and systems we distribute. I have seen the testing first hand at Tensar Head Office in Blackburn but the ethos is consistent throughout the world. A market leader constantly engaging with its team and its partners to change an ever-growing geotechnical market. I am very grateful to Chris Buchanan (Director of Marketing and Product Management EH) and Richard Abell (Regional Director – UK & Ireland) for the invitation to Soport and very much look forward to the next event. The use of recycled polymers in geosynthetics and implications for durability statements made under the European Harmonised Standards and the CPR. It occurred to me recently that if I didn’t sit on BSI, CEN & ISO technical committees I would be considerably less well informed about geosynthetics standards, changes to those standards and their implications. Consequently, I have decided to occasionally highlight topics which are hopefully of relevance and assistance to those of you who deal with geosynthetics regularly and are not immersed in the world of standardisation. The first topic is the use of recycled polymers in geosynthetics and the implications for durability statements made under the European Harmonised Standards and the associated Construction Products Regulations 2013. It may seem obvious but please be sure that your Declaration of Performance (DoP) is being made against the EN current standard. The current EN standards for geosynthetics (other than barriers) are dated 2016 (EN 13249 to 13256 & 13265). 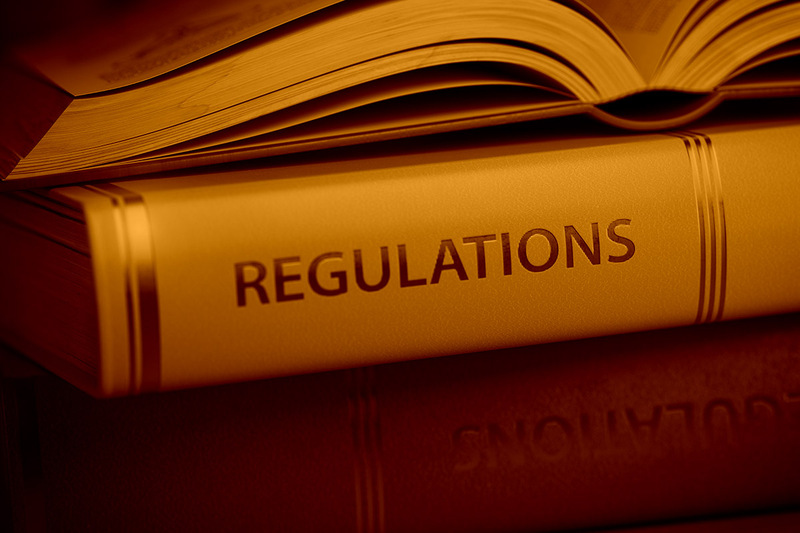 In the UK the current published geosynthetic barrier standards (EN 13361, 13362, 13491, 13492, 13493) are dated 2018. Please note that there are changes to the requirements from the old to new standards. Firstly we should clarify that a manufacturers’ own rework material is not classified as recycled for the purposes of the EN standards and therefore this discussion. Rework is material that is waste from the same production process in the same plant in which the product is made, for example, offcuts from the edges of geosynthetic production being shredded and reintroduced. There are limitations on the use of rework material so this should be checked for the polymer and process involved. The relevant section of the above standards is Annex B – Durability Aspects. In simple terms, for products which offer a CE Marking Declaration of Performance under the EN geosynthetics standards, the inclusion of recycled polymers (Post Industrial Material (PIM) or Post Consumer Material (PCM)) means it is ONLY possible to declare a service life of up to 5 years AND ONLY for non-reinforcing functions. For reinforcing functions where the recycled polymer is included effectively no declaration of service life is possible. In other words, it is not possible to use recycled polymer in a reinforcing product and obtain a CE mark for this product under the EN Harmonised Standards. Furthermore it is not possible to declare a service life of greater than 5 years for ANY geosynthetic product which contains recycled polymer under the current EN Harmonised Standards. I am sure that a number of you are thinking that’s a disgrace and we should be using more recycled polymer. Whilst in principle I might agree with you, the information above is based on the current rules as they stand and if you want to change those rules then the case needs to be made and evidence presented. It is my understanding that the group responsible for setting these rules, the Durability Working Group (WG5) in CEN TC 189, considered this long and hard and concluded that, in general, manufacturers could not guarantee a sufficient consistency of supply of recycled polymer to ensure reliable durability prediction. We must bear in mind the fact that these products are used in sensitive applications like lining hazardous landfills, supporting roads and railways, constructing bridges and retaining walls etc where failure could lead to loss of life and not just your apples falling through a hole in your shopping bag! Another point of clarification is that products not covered by the above EN application standards do, and can, use recycled polymer. 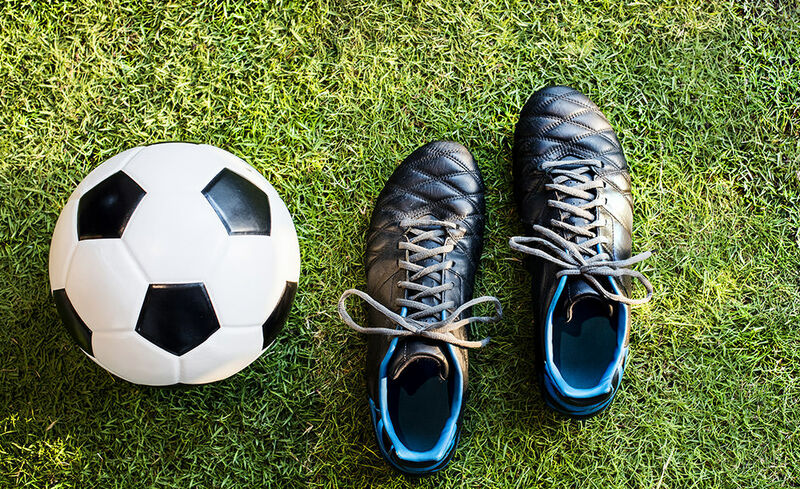 So, for example, it is common for plastic paviours to use recycled material but these products tend to be made of thick polymer sections, which typically increases their resistance to weathering, and are generally applied in non-critical applications. Lastly, if you are in the UK and thinking I don’t need to worry because this won’t apply to us after Brexit, think again. It is extremely unlikely that the UK will leave CEN even after Brexit because membership of CEN and the EU are not tied. Norway, Switzerland & Turkey are all members of CEN and are not in the EU. I hope that this was of some assistance and I would be happy to try to field any questions – or refer you to someone who can! 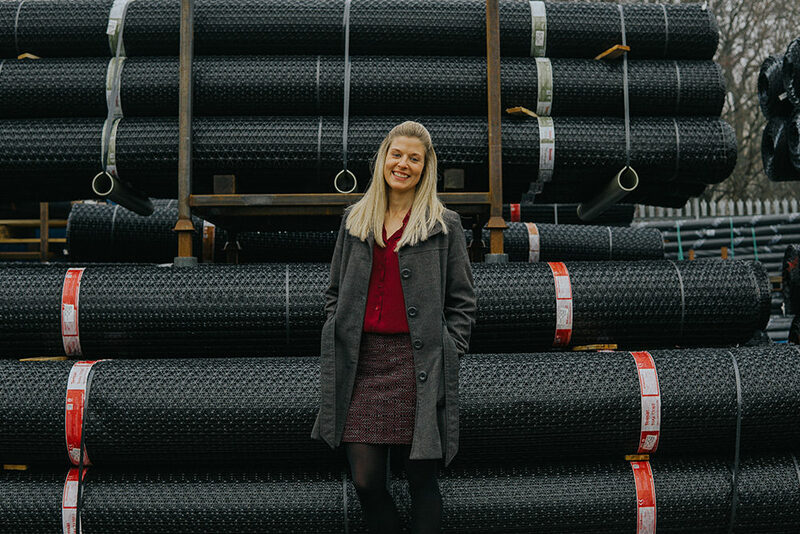 In our first blog in the series themed ‘Geosynthetics – A Personal Touch’ Joanne Murray mentioned the apprenticeship scheme that TCS participate in. I thought that a blog covering this in a bit more details might be useful to anyone considering this route. 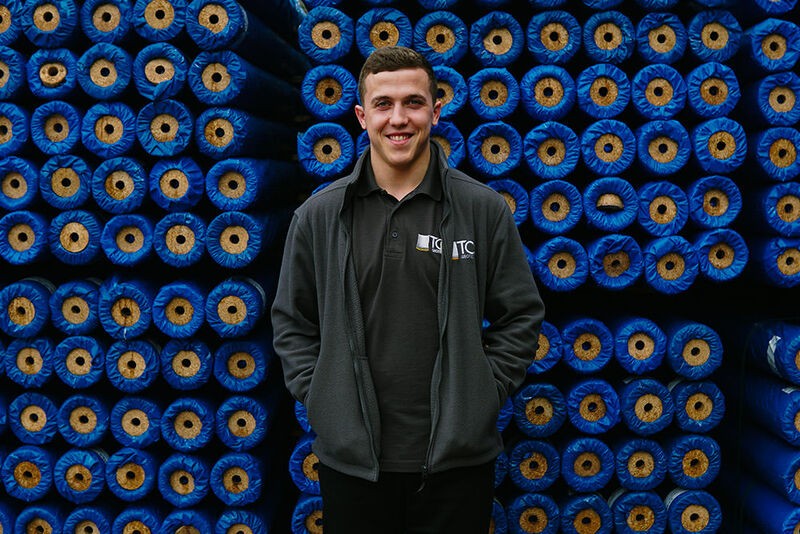 I started on the TCS apprenticeship scheme after my first year at college and I am pleased to say that it has given me an excellent foundation on which to build my growing understanding of the geotechnical products we stock and sell. 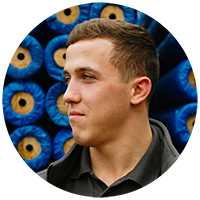 I have learned about our varied and extensive merchant network customer base and have developed my knowledge of the geosynthetic market. I started college in 2013 and studied Physical Education, Sociology, Psychology & Business Studies without fully knowing what I wanted to do as a career. 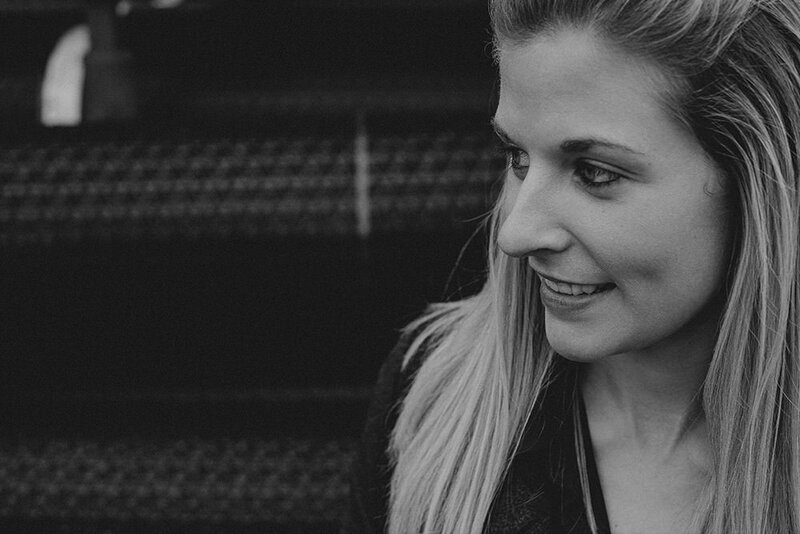 I passed all my exams in the first year but felt I wanted to do something within a working environment and to learn on the job whilst practicing the skills I had picked up in my first year in business studies. So I started the second year looking out for potential apprenticeship opportunities. I didn’t want to rush into anything so I took my time and waited for the right opportunity. After some time came across an advertisement for an apprentice sales advisor at TCS Geotechnics. 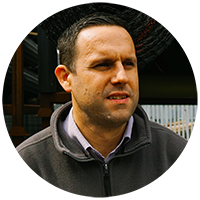 At the time I had no geotechnical background so the products and services TCS offer was completely new to me but that made the opportunity all the more interesting. I applied for the position, was given an interview and not long after, received an offer. I quickly accepted and started in April 2015. The scheme at TCS offered me on the job training relating to the products, services and sales techniques utilised by TCS. I also received training on the accounting and CRM software packages and became proficient in all the various transport and logistics portals. TCS also gave me time within the working day to study a level 2 Business Administration NVQ qualification. I completed this course and progressed to Level 3 Business Administration NVQ qualification which I completed in May 2018. I think there have been many benefits to learning on the job. Not only does it help to focus on the specific products and processes that TCS have in place but it allowed me to start to build up key relationships with my customers and the associated confidence. Responding to enquiries quickly and offering a rapid and informative level of service is one of the key qualities TCS pride themselves on. The training I have received has allowed me to develop the skills needed to do this and it is clearly very much appreciated based on the positive responses I receive from customers. Converting a quotation into an order always gives me that sense of achievement and motivates me to continue to develop in my role. I have recently started to visit my customers at their branches to further extend and build on those relationships. By representing TCS and meeting the customers face to face, it gives an extra dimension to our growing relationships. 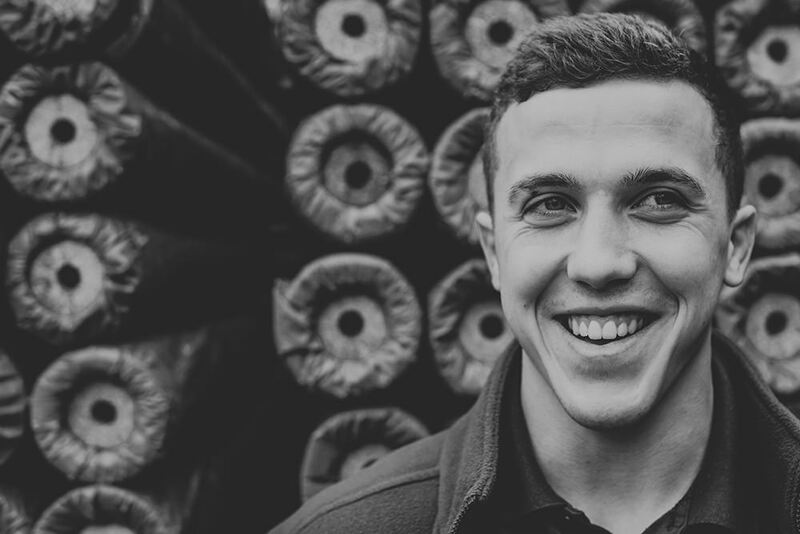 For the future, I want to gain as much experience as I can in the geotechnical industry, as I feel I am yet to even scratch the surface of this dynamic and growing market. This would involve learning more about the specialist geotechnical products that we can offer and also gaining further knowledge of the markets TCS operate in. The natural progression on from this would be for me to take on more of a leadership role at some point in the future. I am actively involved in mentoring our current apprentice and I enjoy passing on my knowledge, knowing that I was that new starter a couple of years ago and feeling proud of how far I have progressed since. National Apprenticeship Week (NAW 2019) takes place 4 to 8 March 2019. Here at TCS Geotechnics & Versa, we have seen huge benefits over the past 10 years of the National Apprenticeship scheme. Many of our staff have gained valuable qualifications and experience going through this process and this week, we take the opportunity to celebrate their achievements and thank them for their continued service. 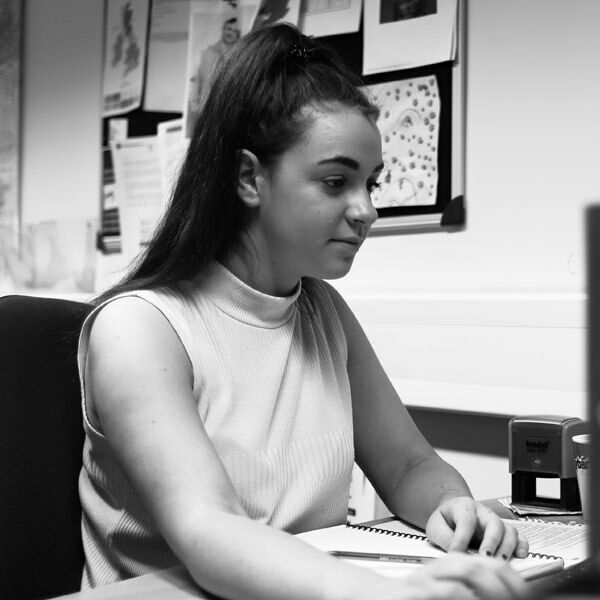 Lauren Brown – Lauren has completed her NVQ Level 2 in Business Administration and is currently working towards her Level 3. Lauren currently works in our Administration team. Megan Mcloughlin – Megan completed her NVQ Level 2 in Business Administration back in April 2016. 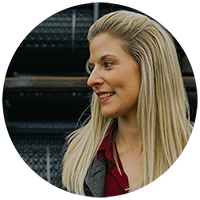 She currently heads up Versa’s procurement team and also project manages all aspects of manufacture within our street furniture works. Connor Parkinson – Connor has completed both his Level 2 & Level 3 NVQ in Business Administration. He is an integral member of the TCS Sales Team and has been since joining the business in April 2015. 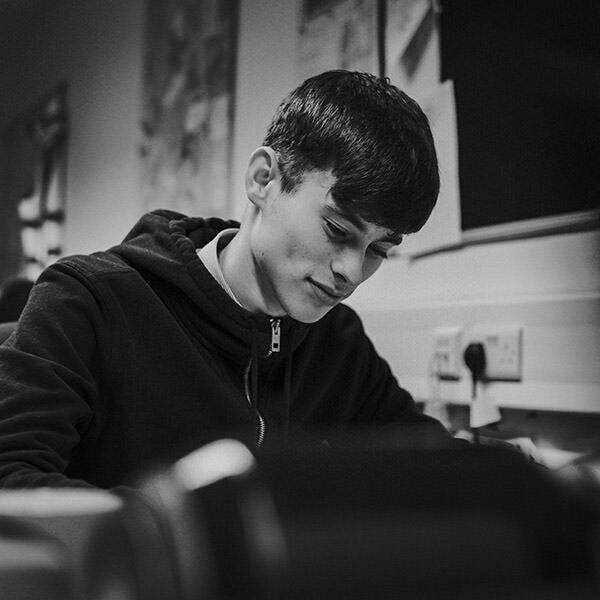 Dan Cox – Dan recently joined the TCS team back in September 2018 and is working towards his NVQ Level 2 in Business Administration. 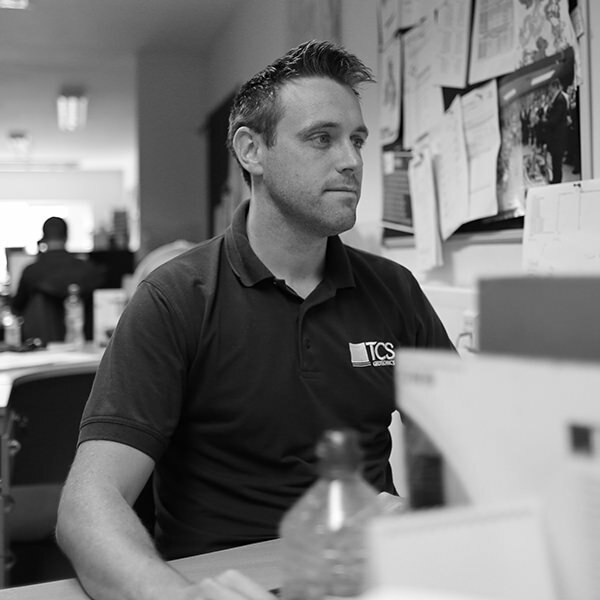 He currently works in our logistics department liaising with all of the TCS Sales team. TCS & Versa take great pride in developing apprentices and the most pleasing aspect is to see so many go on to take full time employment. We look forward to the next intake of apprentices as we move further along in 2019. Now four months into my new role at TCS Geotechnics and starting a new year, I have been reflecting on how I got to where I am now. To join a company straight from school, when you don’t really know which direction you want your career to take, then to end up staying for 15 years, speaks volumes about that positive experience. Finding your feet and taking your place in an industry you originally knew nothing about was an achievement in itself. Additionally, learning about geotechnics and geosynthetic products has been very interesting and satisfying, particularly as many of these products work in clever and innovative ways giving effective and sustainable results. To learn on a job and grow and develop as a person within a company is very special. Having the support of geotechnical and civil engineers and other related professionals, plus regular training all the way through my career has been very important to me. Tensar® was my one constant throughout all of my major life events including marriage, buying my first house, two children and university. When the time came to spread my wings and gain new experience elsewhere the thought of leaving one company after 15 years and going to another was a scary one. However, the beauty of moving to an existing geotechnical distributor of Tensar products, was the familiarity with those products. The opportunity to continue to contribute to the growth and sale of those innovative products and systems but from a different angle. However, the welcome challenge is that I am now dealing with a different set of customers; the merchant network and also a wider new range of geotechnical and geosynthetic products. In addition to Tensar Geogrids, there are new products for me to learn about such as geocellular confinement systems (Techcell), woven geotextiles, invasive weed barriers (Plantex) and gabions to name a few. 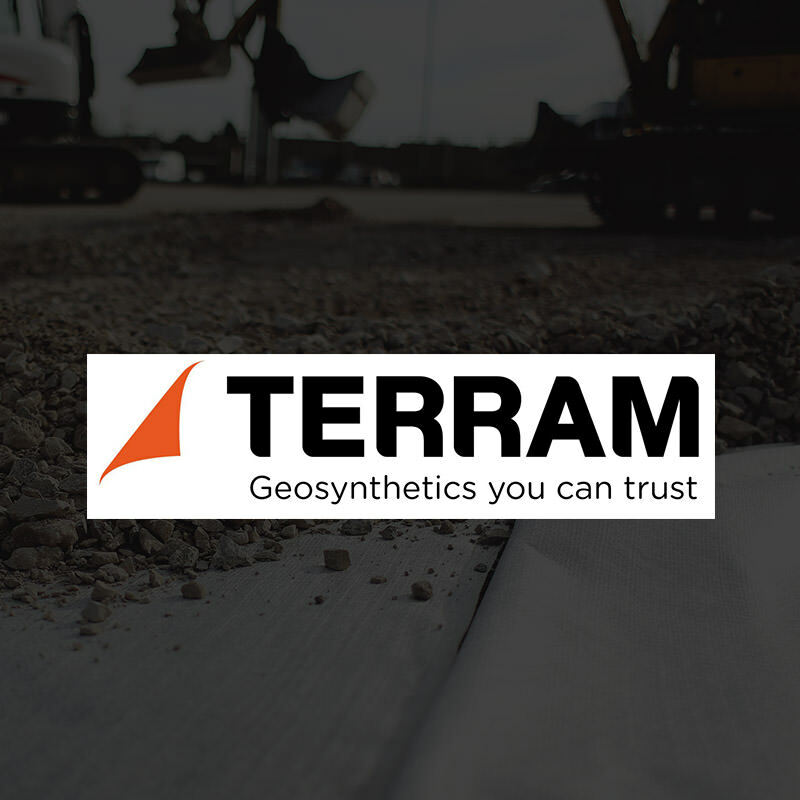 The support from suppliers to stock their market leading products such as Tensar TriAx geogrids, Terram Bodpave, Dupont Plantex and Formpave Aquaflow, shows how dedicated we are to supplying only the best products to our customers. Selling geotechnical and geosynthetic products to the market via the merchant network is an interesting business model built on excellent levels of service and customer relations. Our approach allows us to build trusting relationships with our merchant customers, which is a very important core value to TCS and something that was born out of Mark and Phil’s original experience when working in the merchant sector before they set up TCS 10 years ago. Following my former Tensar Director, Ian Fraser, to TCS helped me to feel very much at home straight away. From the word go, I settled into TCS as they have a close family-like feel. How many companies can you say the owners/directors work in the same office, joining in with the laughs but, more importantly, the day to day running of the business? Discussions about our business strategy and product ranges take place in an open and inclusive way creating a professional and team-driven environment, reflecting the type of company that TCS is and one that is a pleasure to be involved in. 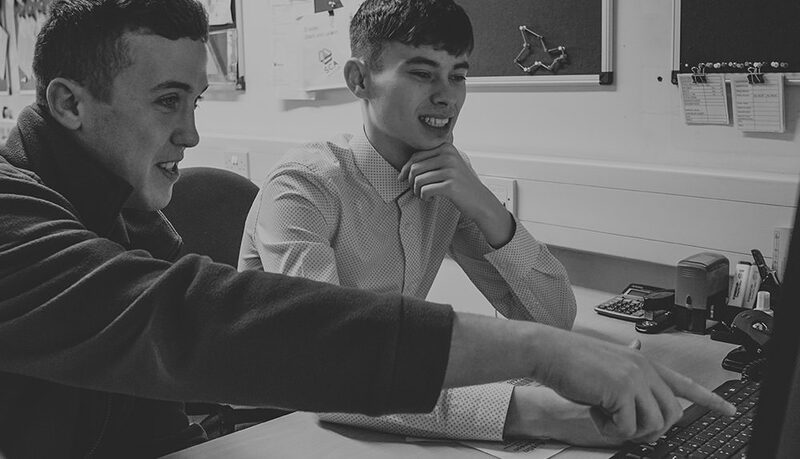 I am also proud to say that I work for a company that actively supports an apprenticeship scheme helping young school leavers learn on the job and through college placements, to be the future of TCS. I was once that school leaver and the start to my career at a successful company was an extremely important step for me. We are closely finding ourselves leaving the year of 2018 and heading into a new decade of business for TCS Geotechnics. 2018 marked the tenth year since the start of this ever expanding company, a milestone of achievement from where TCS Geotechnics originally started from. 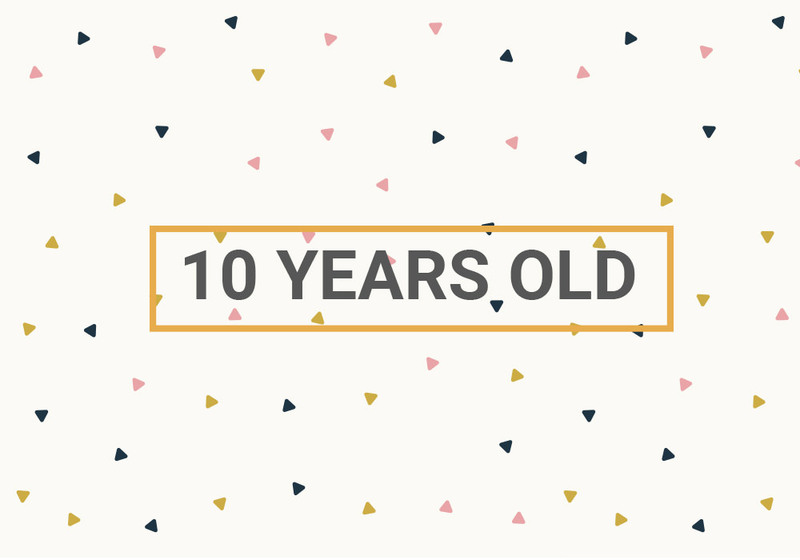 The vision of the company is still exactly the same today as it was when the business set out 10 years ago. Building long standing relationships with our customers and suppliers and providing great service. We often say we want to be easy to deal with, it’s a simple ethos but, not as simple to deliver. Hopefully this concept has help us create a positive reputation with our customers and suppliers alike. 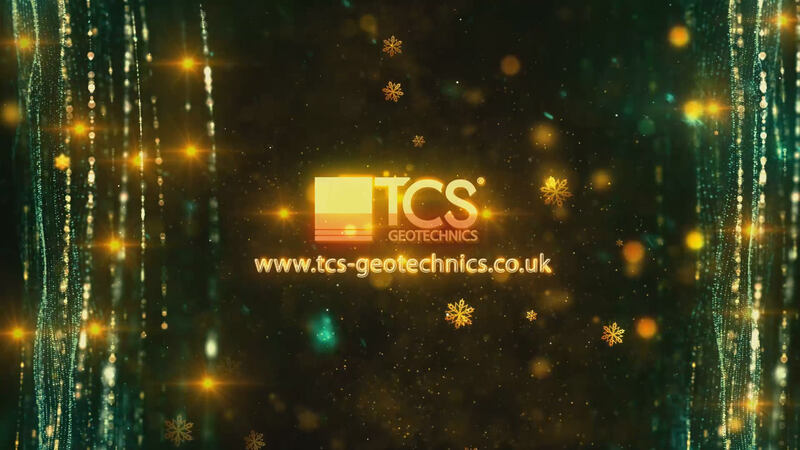 TCS Geotechnics was founded in September 2008, initially with two employees Mark Maloney and Philip Cox. Between them they have over 50 years working in the construction material industry. The story of TCS began in an small office on Bridgeman Terrace in Wigan. Over the last 10 years the business has grown significantly which now finds us owning our current head office and warehouse facility on Martland Park in Wigan and also a satellite office in Finchhampstead, Berkshire . 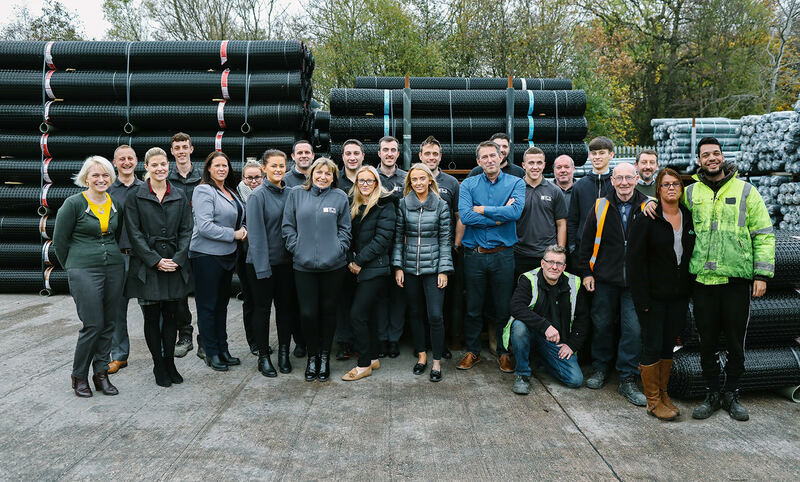 This investment has been a customer service driven, our ever increasing stock range has enabled us to offer next day delivery nationally on a wide range of Geosynthetic products. 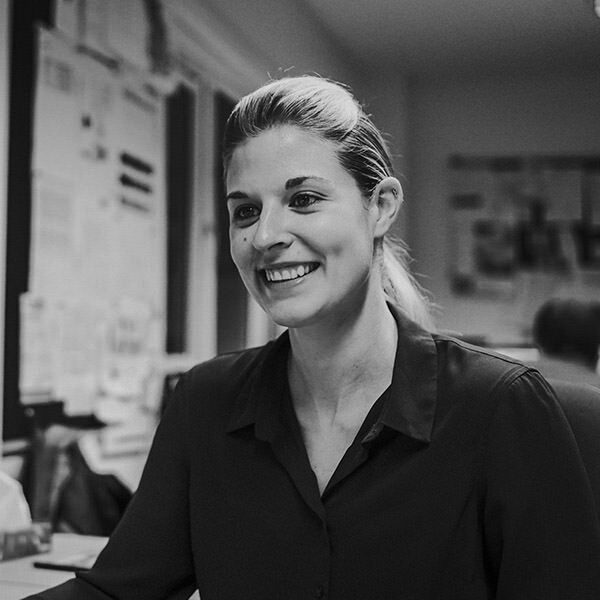 The business now employ’s in excess of 30 staff who continue to deliver the simple ethos of being easy to deal with which we believe is the key ingredient to the ongoing success of the business. Below is a timeline of important events for TCS Geotechincs over the last 10 years. 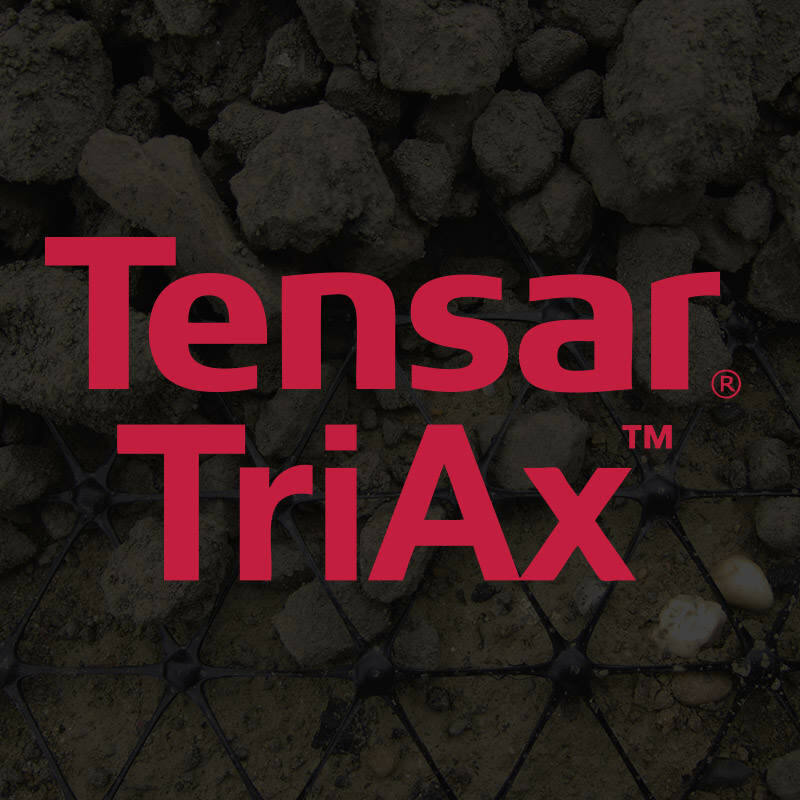 TCS joins with Tensar to become an official distributor of Tensar TriAx. 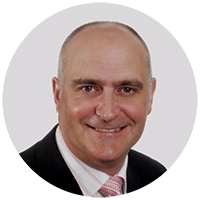 The Southern TCS office, situated in Finchampstead is opened and occupied by Ian Fraser. A membership to join the IGS UK as UK Chapter Sponsor is accepted. TCS become an official distributor of the Formpave Aquaflow products. The expansion of the premises began and TCS bought the building next door to the current unit. 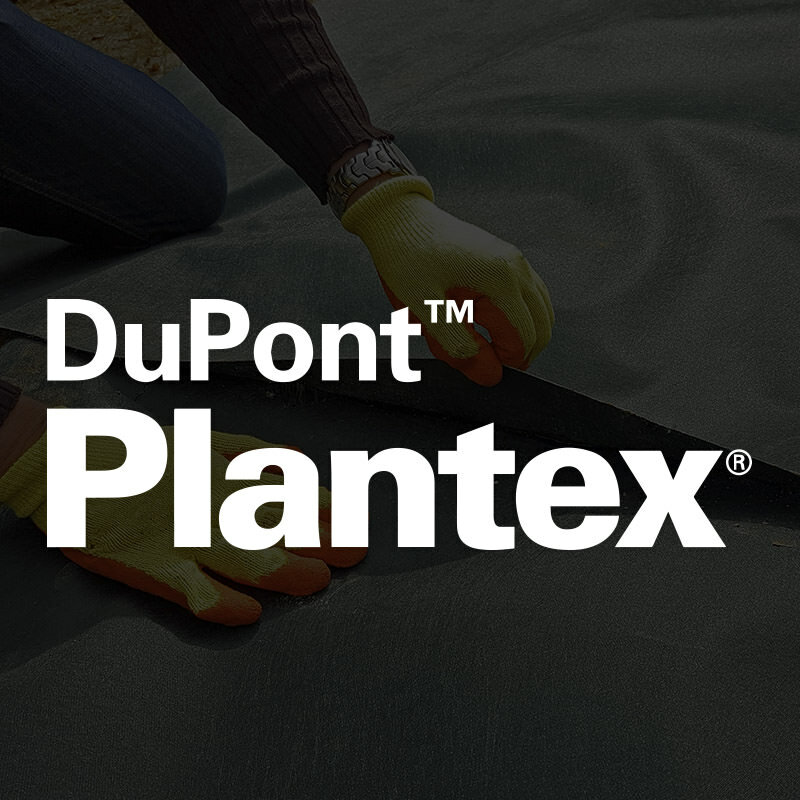 TCS gets onboard with Dupont and become an official distributor of Plantex weed and root control products. In line with so many others this week, TCS Geotechnics want to thank our current and past crop of apprentices who have added so much value to our business. TCS has invested in the National Apprenticeship programme for over 4 years with a high degree of talent now fully employed by the business. 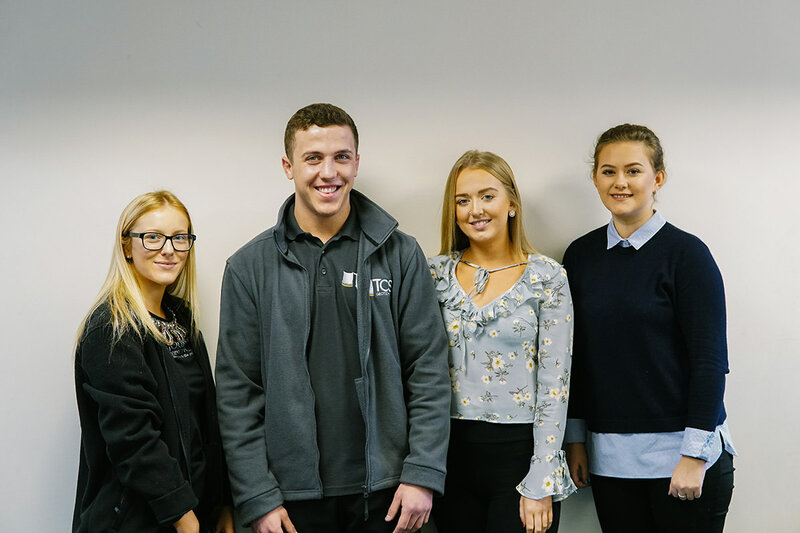 The pathway to a great career is clear from the first day and we look forward to our current apprentices being part of our team for many years to come!!! TCS would like to introduce the newest member of the team, Megan Hall. Megan joined the business on June 19th 2017 and takes up the position of Sales Administrator. 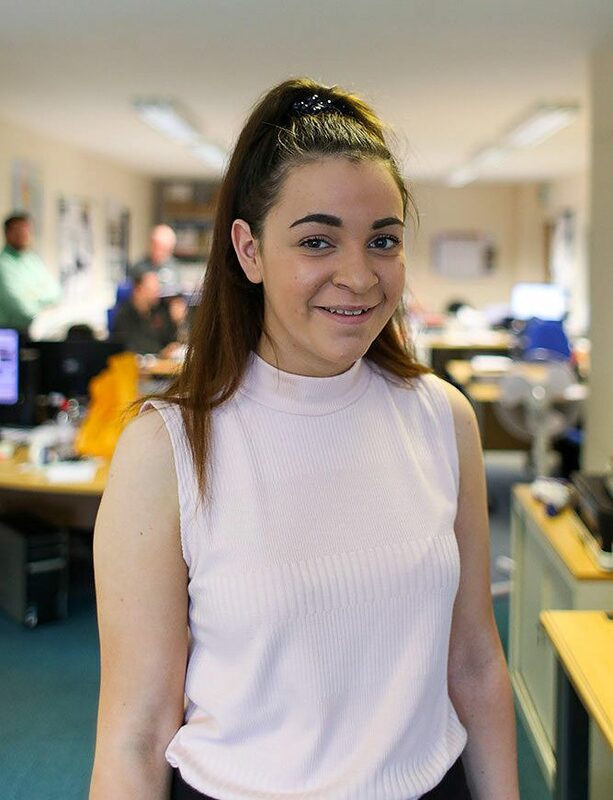 Alongside this, Megan will also be working towards her Level 2 NVQ in Business Admin. This emphasises the continuing commitment TCS has investing in the apprenticeship programme and developing key skills from a young age. Megan has jumped straight into her role with her aspirations in sight for her progression within TCS.